When is a pizza not just a pizza? When you're dining on a piece of the Intangible Cultural Heritage of Humanity.Possibly the world's most beloved comfort food, game-day dinner, kids' birthday party treat and party go-to take-out, the humble yet versatile pizza has been given UNESCO Cultural Heritage status. But not just any pizza. 'Pizzaiuolo' is the art of traditional pizza-making originating in Naples, Italy. Think of it as the 'way of the pizza'. 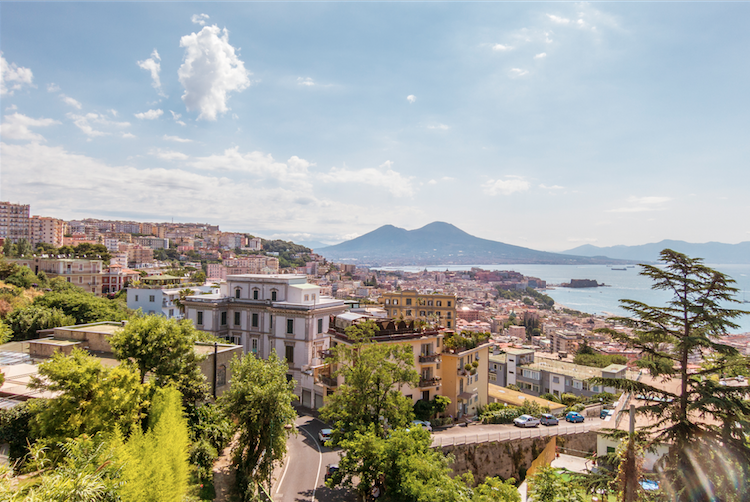 The original, home-grown-in-Naples technique was given the designation in November 2017. It is meant to safeguard and raise awareness about different forms of cultural heritage and ensure the methods and origins are preserved and passed to future generations. The result? A Neapolitan pizza is soft, elastic, tender and fragrant. The Association recognizes only two authentic pies: the simple Pizza Margherita (top photo) that follows the traditional rules for ingredients with the addition of basil and extra virgin olive oil, and Marinara Pizza with tomato, extra virgin olive oil, garlic and oregano. Don't even think the words 'Hawaiian' or 'Meat Lovers'.